In order to sit for the CPA Exam, you will need to meet an education requirement, as outlined by your state board, of 150 college credits and some experience. Each state varies in terms of the amount of experience you need, but they all call for 150 hours of college courses that focused on accounting. Is It Even Possible to Take the CPA Exam in College? It’s impossible to pass the CPA exam in college unless you are in the process of completing your final classes to meet the 150 hours and earn your Bachelor’s degree. Some state boards won’t even let you sit unless the 150 hours are officially completed. You must also have the experience requirement, so check with your state jurisdiction to see the specific amount and type of experience you will need before you can pass the CPA examination and become a licensed CPA. If you are closing in on those 150 hours and have a few years of internship experience through your degree program, you may be asking yourself whether to take the CPA as soon as possible or to wait a couple of years once you have some real-world experience. As a general rule, you should sit for the CPA Exam as soon as you meet your state’s education and experience requirements. The exam is based on academics, so it’s best to take the test while your college accounting courses are fresh in your mind. Recollection of coursework material will be far more important than on-the-job experiences in terms of passing the CPA Exam. It is going to take hundreds of hours for you to prepare for test day. You might think you have a lot on your plate as a student, but your schedule will honestly never be as flexible as it is now. Your time will become much more restricted by a full-time job and with more responsibilities as you get older, such as family. Need some motivation to get started? Check out my short article on committing! You also have the mind of a student since that’s all you’ve known for years. You are accustomed to absorbing, processing, and analyzing mass amounts of information, even if you’re only in community college! I know it’s overwhelming to study for the beast that is the CPA Exam on top of all your other school work, but you’re already in the best shape of your life when it comes to studying. Why not use that to your advantage and kickstart your accounting career as soon as you’re out of school? If you need help maximizing the limited time you have to invest in studying for the CPA Exam, take a look at my top 9 CPA Exam preparation tips. There are tons of financing options for students who are wanting to start their CPA process. The AICPA offers scholarships every year to outstanding students who plan on pursuing a CPA certification. To qualify for these scholarships, you must be a full-time student at an accredited college or university (undergraduate or master’s) and have at least a 3.0 GPA in an accounting-related major. Even if you can’t get that scholarship, there are lots of other scholarships and discounts out there for students. Check your state’s CPA society to see what scholarships are available. Other private societies, such as The American Woman’s Society of Certified Public Accountants, have financial assistance programs for all types of students—minority, transfer, international, etc. 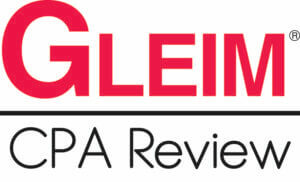 You will also find discounted CPA review courses for students. Clearly, you should take advantage of the student discounts while you can since becoming a CPA is an expensive process. There is about to be a higher demand for CPAs since the baby boomers are retiring at an increasing rate. This could not be a better time to get a leg up on all the other accounting graduates and add a CPA license to your resume. Those three letters behind your name will certainly separate you from the crowd and prove to your employer that you have the skills to fill a key role that a boomer would be vacating. You’ll be looking at a much bigger salary than other accountants without a CPA license. All the hard work you put in and the sacrifices you make will seem trivial to the benefits you’ll receive as a CPA. So, don’t wait any longer and find a CPA review course so you can hit the ground running once graduation comes. The opportunities will be endless for you if you push yourself to go for the CPA right after college.